The fight against heretics and mutants in the alpha version of the game has inspired me a bit to draw and i decided to assume what else hostile faction can fight against inquisitors in Caligari sector. I choose Dark Mechanicus. 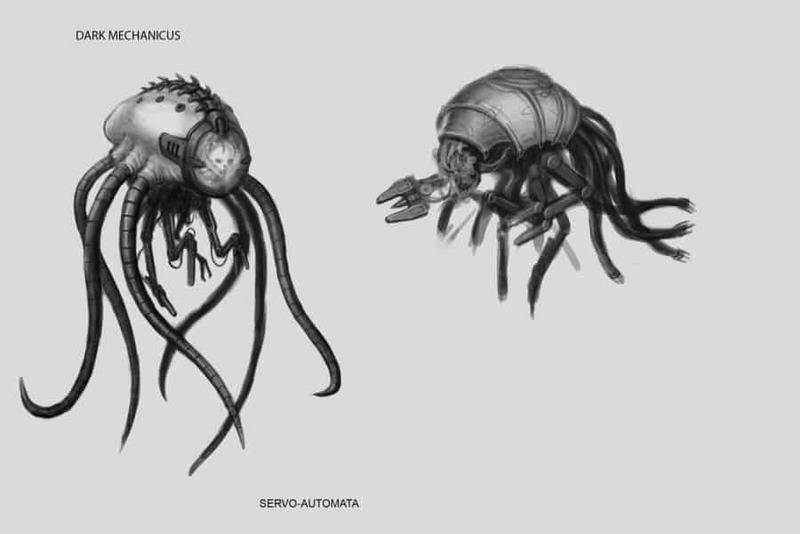 The sector has a very large presence of Mechanicus, some planets and stations under their control, they have their own forge worlds, and if sector is awash with heresy it is not surprising that there may be present of dark Mechanicus. 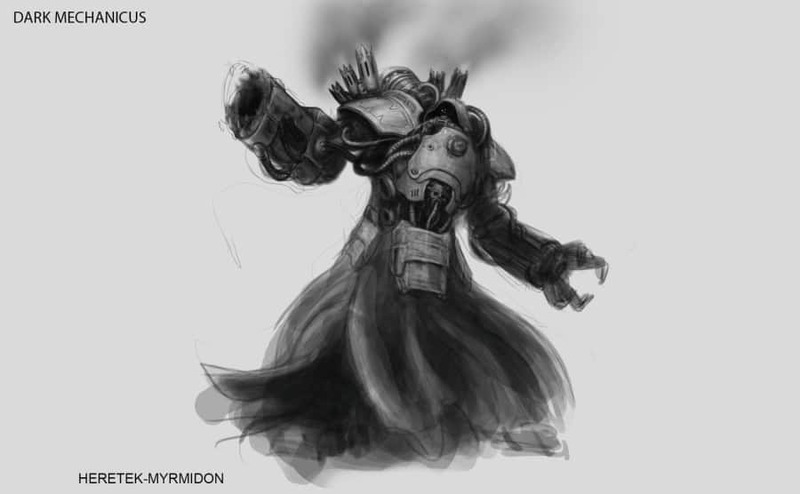 They can come together with the Chaos Space Marines or be there initially, hiding theys presence to capture loyal forges and techno artifacts, or maybe once a loyal forge world has been for a long time cut off from the rest of the sector by warp storms and gradually turned to chaos. 1. Traitors Mechanicus, who only recently identified their affiliation to the chaos, Take Mechanicus models from Games Workshop and add them the signs of chaos, mutations and symbols scrawled on the armor. 2. 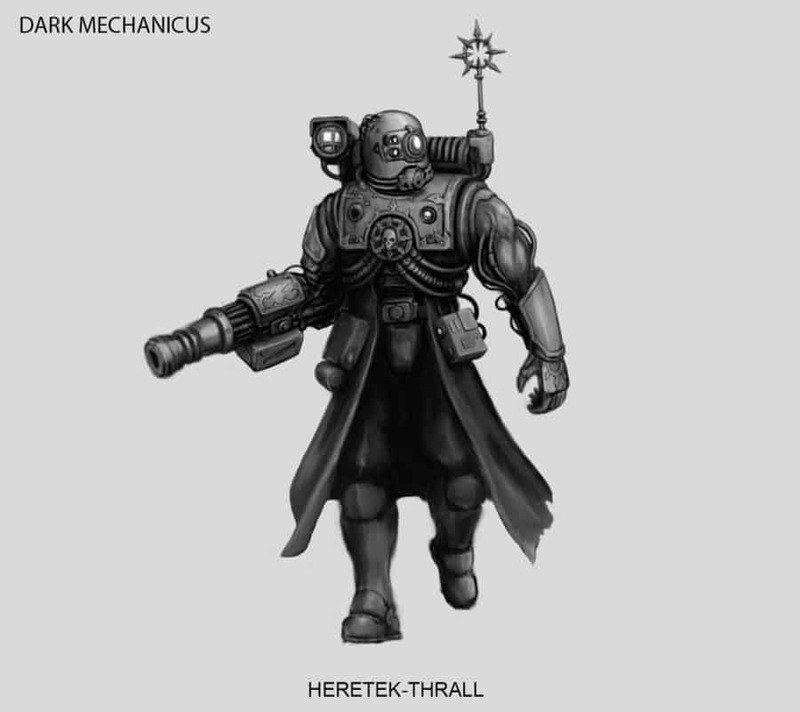 Take Horus Heresy Mechanicus from Forge World, add details, change the armor design and symbos, imagine that they are like Chaos Space Marines, they changed by warp since the time of the Horus Heresy and turned into a dark and twisted version of themselves of 10 millenia ago. Should I continue in this direction, or better try other variants? Excellent draws, would love to see more. I like. Keep up the good work. Awesome concept art! I really enjoy seeing people put time and effort into reaching out to the Devs. Have a Bump + 1000!